Spend any time on the range these days and it won’t be long before you hear people talking about reloading. Many will say it’s more accurate, it’s cheaper and let’s also admit, far more satisfying. Serious long-range shooters and hunters who reload their own ammunition, should also take advantage of an excellent tool in Ballistic–at the range and on their work bench. Once you have a batch of new reloads, there’s no better way to judge their effectiveness than to head to the shooting range with Ballistic. Zero your rifle with your new rounds at 100 yards. Then, build a Ballistic profile for the new round by adding bullet weight and type, atmospheric conditions, sight height and zero distance to the profile. Next, chronograph ten rounds of the reload to get an average muzzle velocity and add this data to your Ballistic profile.Ballistic will display what you can expect from your reload at any intended distance on the range. What if the Ballistic calculations just don’t work for you and your shooting? Maybe the new load presents too much drop at distance, for example, or the bullet goes subsonic too quickly. What do you do now? Time to get the most out of your Ballistic Reload Profile. Maybe there are bullets with better ballistic coefficients or BC’s available. Plug those other BC’s into your Reload Profile and see how much that might affect your ballistics. Maybe you need a slightly higher muzzle velocity. Bump up your original muzzle velocity to see how that alters your Ballistic solution. Reload new rounds incorporating your changes, hit the range and try it all over again. 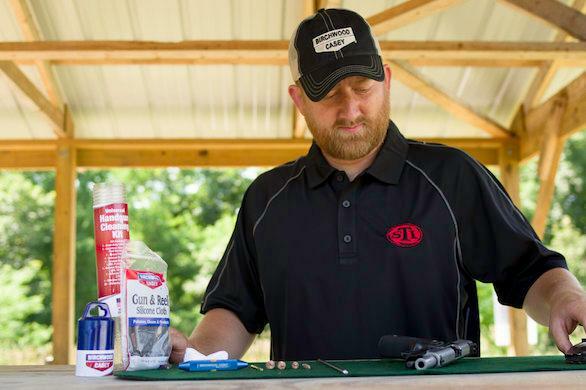 Ballistic has an important place at the reloading bench, too, said Curt Vaughn, veteran competitive shooter, dedicated reloader and Ballistic pro staffer.